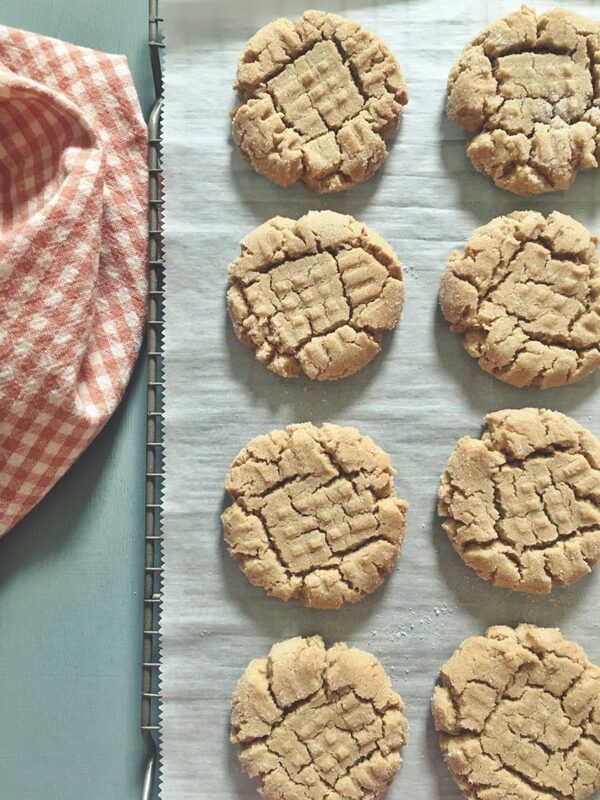 Every cookie baker should have an assortment of peanut butter cookie recipes at their beck and call. 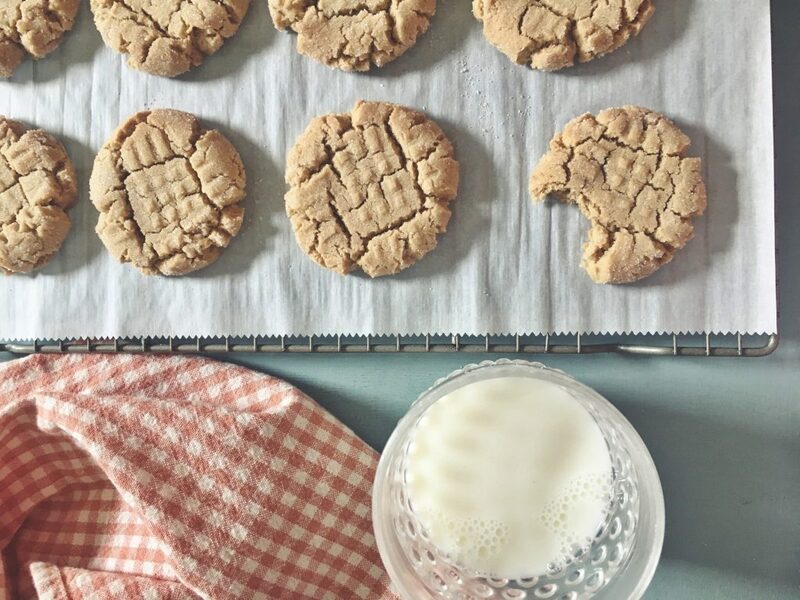 The recipe for these peanut butter cookies belongs in your repertoire. This low maintenance and versatile peanut butter cookie is perfect for making into an ice-cream or chocolate ganache sandwich, or even better maybe some marshmallow cream frosting? Oh, the possibilities. Bake these peanut butter gems up and enjoy every last little crumble. Add the flour, baking soda, and salt to the peanut-butter mixture, beating gently until everything is well combined. It may take awhile for this rather dry dough to come together; and when it does, it’ll be quite stiff. Only if necessary, drizzle in enough water to make the dough cohesive. Drop the cookie dough by tablespoonfuls onto the prepared baking sheets (a tablespoon cookie scoop works well here), leaving 2″ between them. Use a fork to flatten each cookie to about 1/2″ thick, making a cross-hatch design. Bake the cookies for 12 to 16 minutes, until they’re barely beginning to brown around the edges; the tops won’t have browned. Remove them from the oven, and cool on a rack.